I am so glad that these are finally finished. I used size 000 double pointed needles. They took so long to make that I probably could have made a nice cardigan in the same amount of time. But, aren’t they pretty? And don’t you just love the toes. 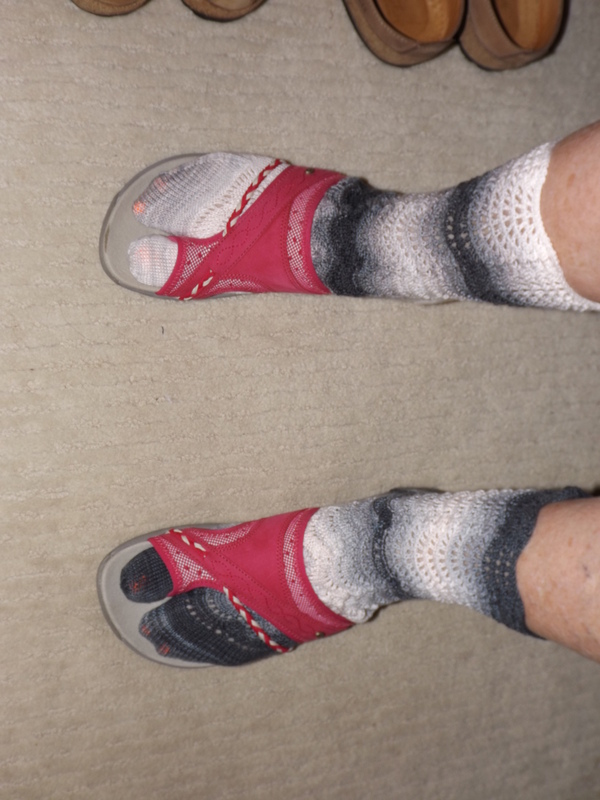 I made them to wear with my Merrell sandals. Can you see my toes? I used the flash for this picture. It reflected back. They are not holes. See? Day-Glo Orange. At least they don’t glow in the dark. 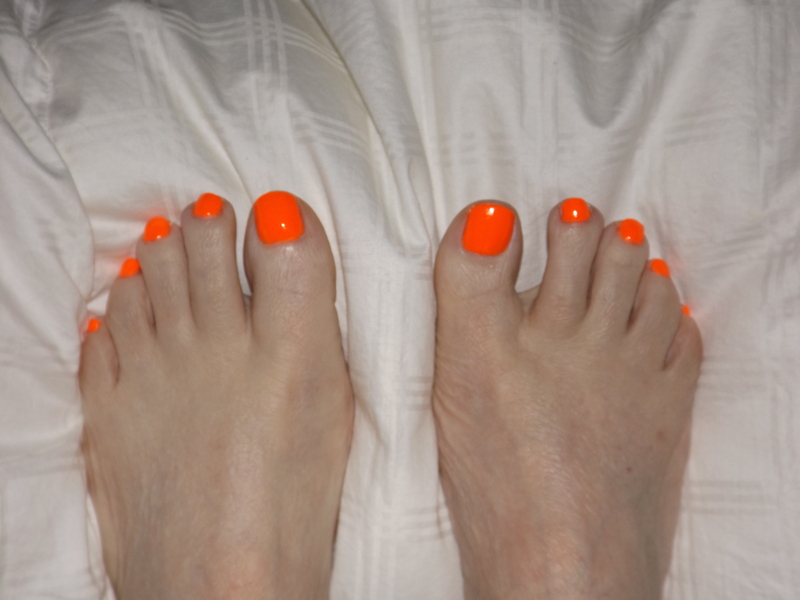 If you are going to get a pedicure, you might as well go all out. 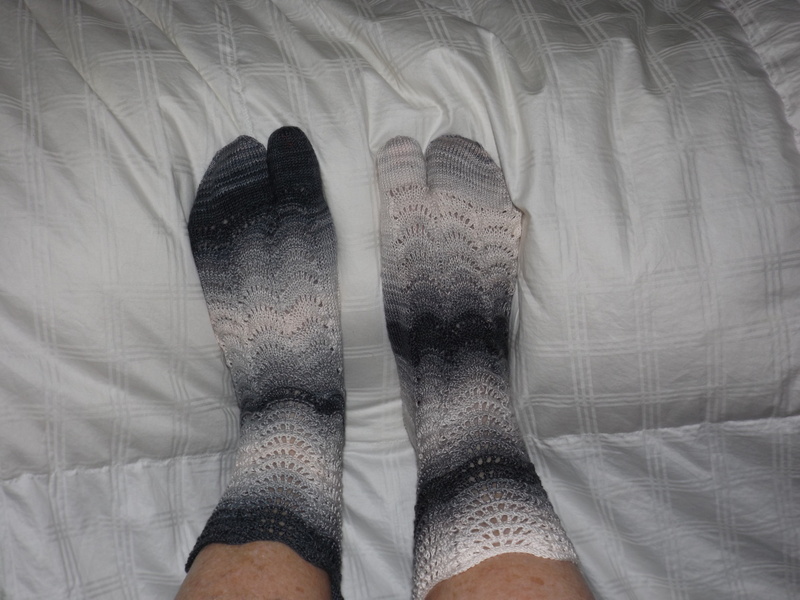 This entry was posted on June 11, 2014 at 6:22 pm and is filed under Knitting. You can follow any responses to this entry through the RSS 2.0 feed. Both comments and pings are currently closed.